It's very important to get the help you need from people who are more experienced in areas where you are not. Any areas that aren’t in your wheelhouse could come back and hurt you with cost overruns. Don’t be reluctant to get the help of subcontractors or consultants. It's better to ask for help now rather than realize you're in over your head later. Relying too highly on unit cost or square footage cost can cause big problems in your estimates. These guides should only be used for ballpark estimates. The variables are too high. Keep a list of every single item. Items such as permits, landscaping, etc. can be forgotten very easily. Take all costs for wages and benefits into consideration when deciding on an accurate hourly rate for specialty labor. Look at previous projects you have done and find the margin killers to determine the risks and costs involved in this project. Pay particular attention to what parts of your project present the highest costs. These areas require deeper analysis of the tasks, labor and supplies needed. Don’t forget to factor in Federal and State payroll costs. Other costs to consider would be equipment depreciation and tracking inventory costs. Whether this is done by a computer or the role of someone on your team, you need to make sure these costs are accounted for. You also may have an increase or decrease in total costs due to changes that are beyond your control. The price of materials can change, the need for labor may increase as the project goes on, or you may even find you have over-spent on certain items. Loan interest, project management expenses, and health and safety consultations are other things to consider. Find out exactly what equipment will be needed for the project and whether it would be more cost effective to rent or buy the additional equipment you might need. Construction insurance could come in very handy if a worker gets injured on the job or something else goes wrong. What happens if a storm blows in and ruins some of the materials on site? What are you going to do if a worker calls out or something else happens to set back labor? Look into your insurance coverage closely and make sure the rest of your risks can be handled with emergency funds that have been put aside for this. The last thing you want is to have to compensate for weather damage or broken materials and not have the funds available. Many factors can affect pricing so you need to be alert to what's happening in the marketplace. Do you need to order custom product or material? Does the price fluctuate by season? Do you need a fast turn around time? Are there challenges that will impact delivery? What are current demands? Be sure to set up a master checklist. It doesn't matter how organized you are or how many people you have managing different parts of the project, a master checklist is what keeps everyone on the same page. Without it it’s just to easy to forget items and steps. This is the first and final point of reference. It's what you check when you need to add a new expense or mark something off, as well as a helpful guide when you're not sure if something has been accounted for. The master checklist accounts for every single dollar spent and tells you where all the funds are going. Here's a Free one you can use to get started. Take as much care in reviewing your sub quotes as you do your own. Always get more than one quote for each trade and never accept a cost-plus bid. Work with subs that will offer a firm estimate based on the scope of the work. Consider using a service like DataBid to post projects for Free and spread the word to qualified subs. To increase your odds of winning, it’s important to know the exact number of other companies that are also bidding this job. The more companies, the more competitive you’ll have be to win. Also, by knowing specifically who is bidding and how they typically bid could give you a competitive advantage. Use a service like DataBid for complete bidders lists, Timely Bid Results and complete competitor analysis. How many times do you hear about a project from a GC, spend days working on a bid following the steps outlined above and submit the perfect estimate and that GC doesn’t win (or sometimes even bid) that job? How does that affect you? You did all that work for nothing, that’s how! Once you’ve crunched your numbers send your bid to all the other GC’s planning on bidding. One of them is gonna win the job and guess what? You just bid to the low bidder and dramatically increased your odds! 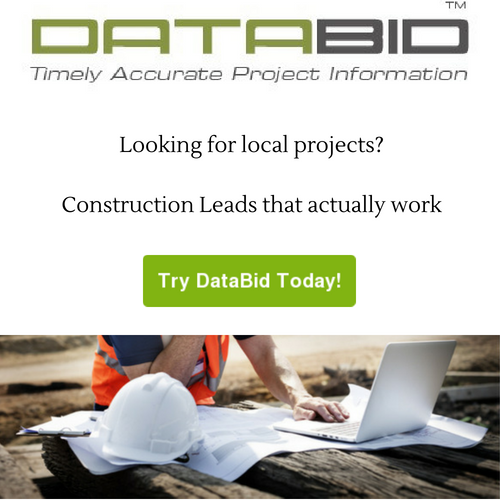 Use a service like DataBid to get real time Pre-Bid meeting attendees, Document Takers, Invited GC's and complete Bid lists and Bid Results. If a competitor is constantly underbidding you and you see them on the next project your going after, you could consider passing and saving any time and money spent or you could bid, knowing you’re gonna have to sharpen your pencil if you want to win. Information is power. Knowing who your up against gives you a competitive advantage. 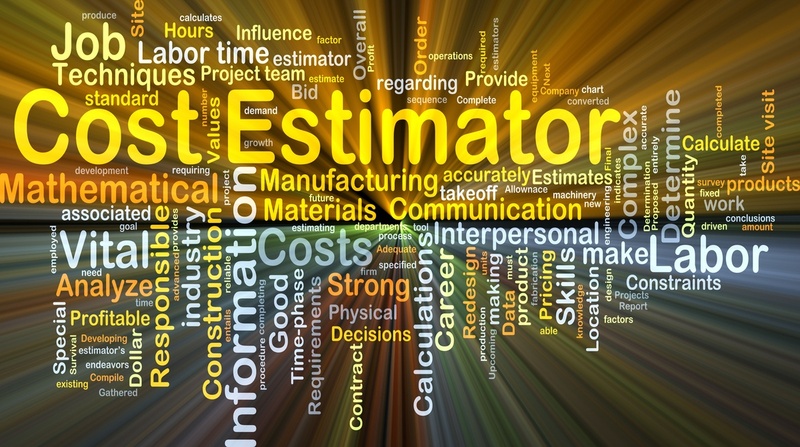 Winning a job starts with accurate estimates but you can’t bid a job if you don’t know about it. To help make sure you never miss a project we pooled our 29 Years of experience in the industry to help commercial construction firms generate leads and increase revenues. 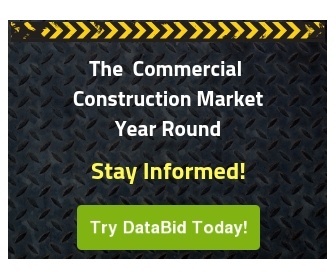 This should be your first stop if you’re looking for Public and Private Construction Leads, Complete Bidders Lists, Bid Results and Company Tracking. Try DataBid for FREE now.